Fascinating Vis town is the administrative and cultural capital of Vis Island yet retains a homey, small-town atmosphere. 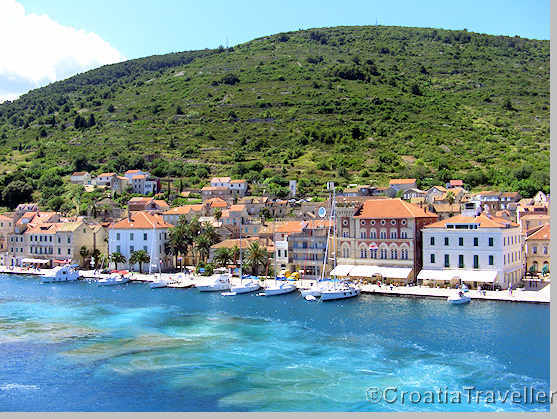 At the foot of the wide Bay of St George, Vis welcomes regular ferries from Split into its long harbour. 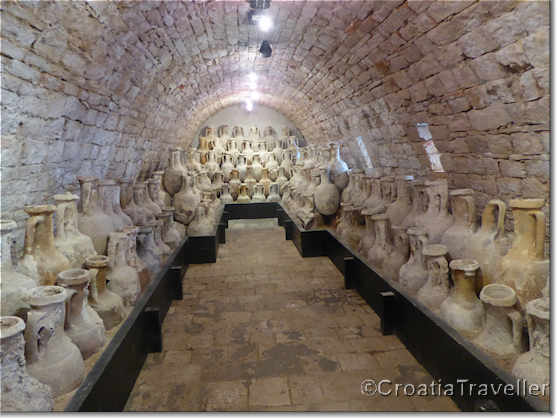 From the harbour, a seaside promenade takes you to the highlights of Vis town which include Greek and Roman ruins, Renaissance churches and palaces and an archaeological museum with artifacts from ancient Vis. Most offices and shops are in Luka in the centre of the bay where the ferries dock. 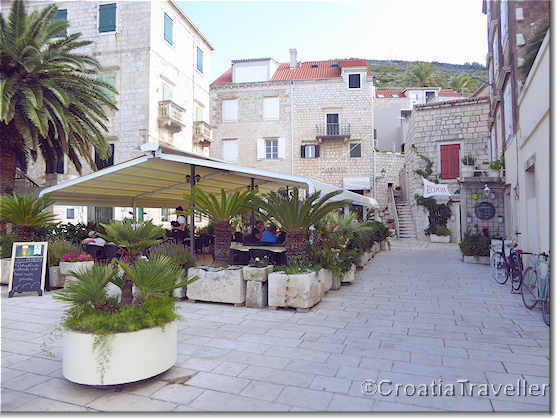 Narrow pedestrian streets link tranquil squares that open onto the sea. Most of the handsome stone buildings are in a baroque style and date from sometime between the 17th and 19th centuries. You'll notice a number of 17th and 18th- century noble palaces characterised by small windows and stone balconies. Defense was an issue too. 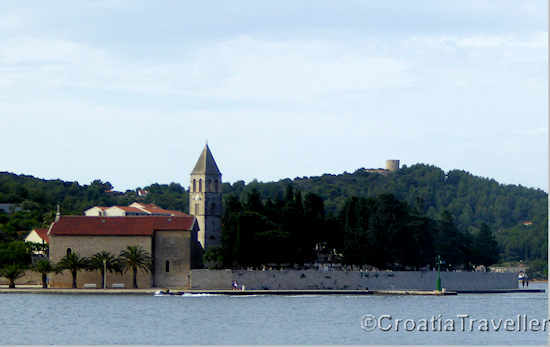 The Perasti tower on the port was built in 1617 as a defense against the Ottoman empire. 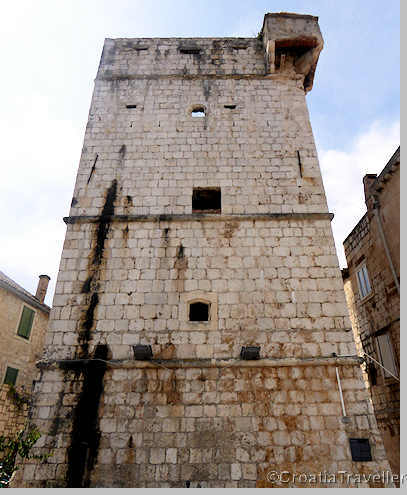 At the time the tower was armed with small bronze cannons. Architectural ambition stretched to the early 20th century. 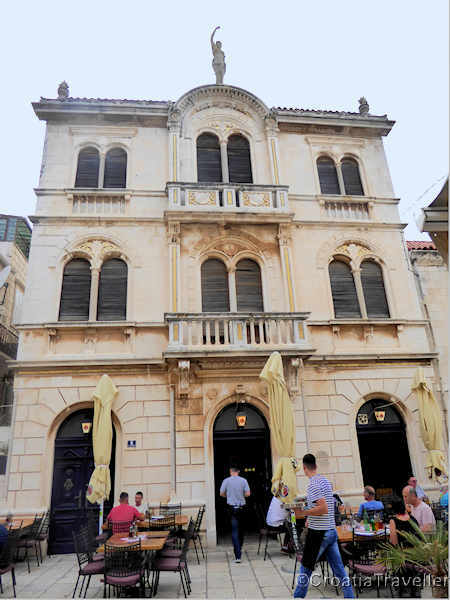 Check out the Tramontana Palace on Klapavica Square built in 1911 in a Neo-Renaissance style.On the balustrade of the balcony on the second floor, the initials of the palace owner, Luka Tramontana are inscribed in two shields along with the owner's motto: Work and Perseverance. Good advice. 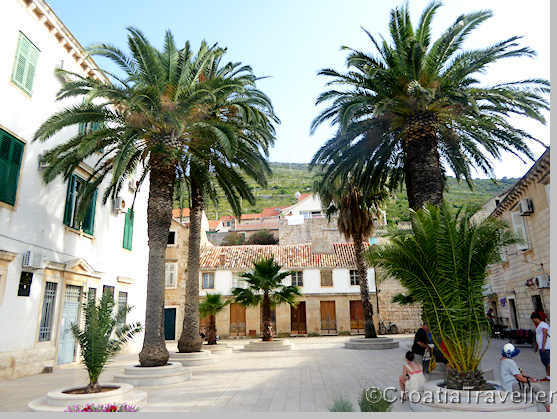 Stroll northwest of the harbour a few hundred meters and you'll come to the oldest part of Vis, the Gradina neighbourhood at the foot of Gradina hill. 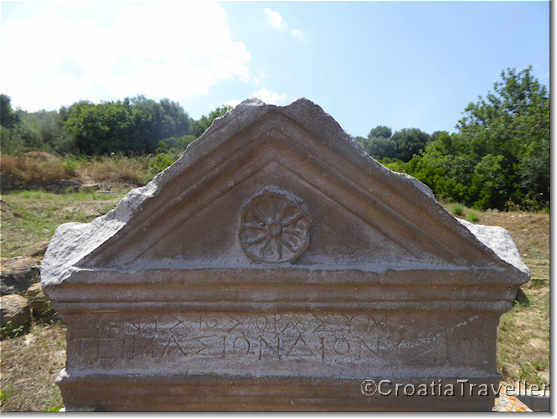 Signs direct you to the ancient Greek walls and necropolis dating from the 4th century BC. Known locally as Martvilo, the site is tucked away behind tennis courts. 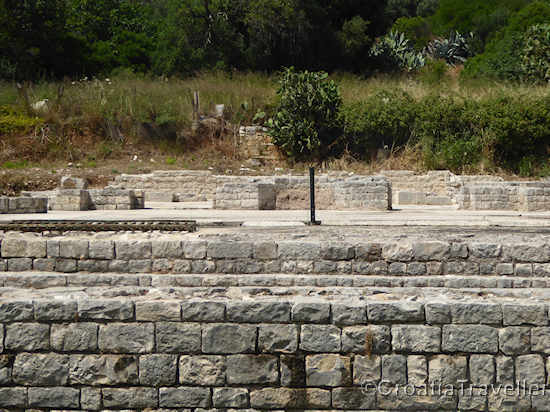 Right along the harbour are the Roman baths and a floor mosaic which are being painstakingly restored. 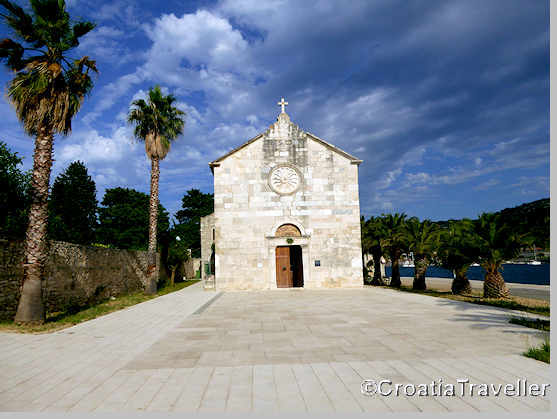 Continuing further west is the Prirovo peninsula marked by the Franciscan church and monastery of St Jerome. 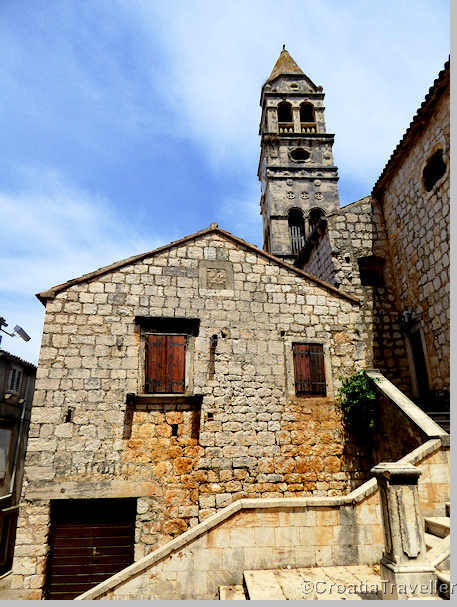 This complex was built in the early 16th century on the foundations of a Roman theatre. 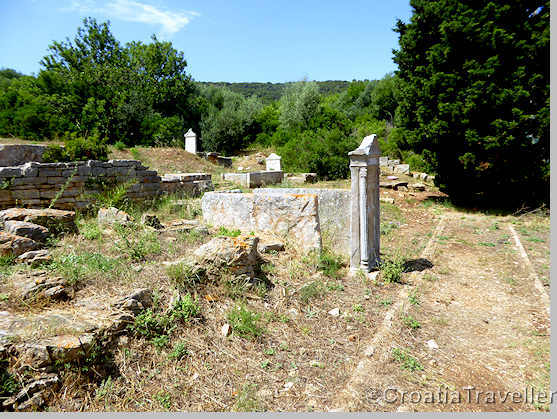 Remanants of the ancient walls are visible in the cellar and foundation of the monastery. The church facade was made of marble taken from the the ruins of ancient Issa. On the other side of the peninsula is the town's pebbly beach. The southeastern part of the bay is Kut linked to Luka by a seaside promenade. Along the promenade is an exceptional Archaeological Museum located within the 19th century fort, Our Lady's Battalion. Built by the Austrians, the fortress successfully repulsed an Italian invasion in the Battle of Vis. 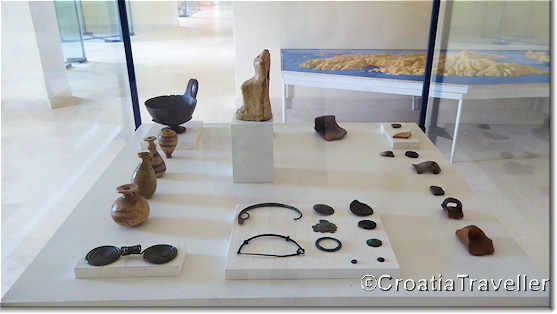 The Archaeological Museum (www.mdc.hr/split-arheoloski/eng/issa.html) is one of the most impressive on the Croatian coast. 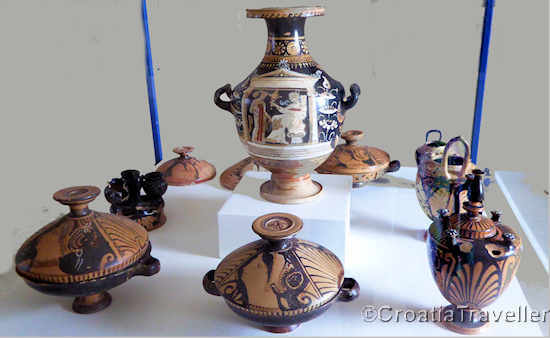 There's a huge and well-displayed collection of Greek pottery and jewelry excavated from the island as well as Greek amphorae. 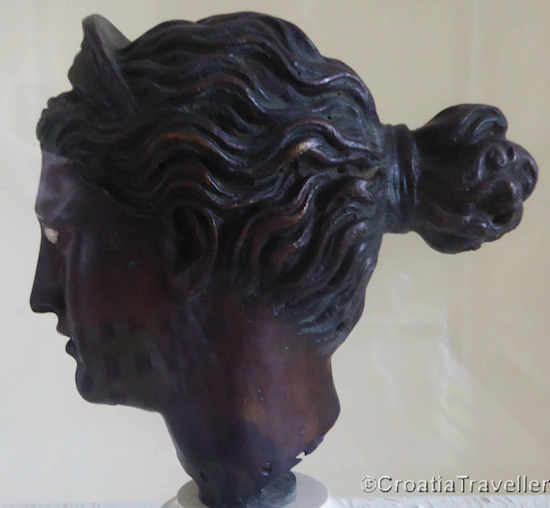 The highlight is an exquisite 4th century bronze head of a Greek goddess that is thought to be Artemis. Opening hours are 9am-2pm and 5-9pm Monday to Friday and 9am-1pm Saturday May to October. Keep walking and you'll come to the heart of Kut, marked by a cluster of striking 16th and 17th century noble houses and churches built in a Renaissance and baroque style. Jaksa Palace, a 17th-century complex now owned by the granddaughter of famed sculptor, Ivan Mestrovic. Behind the humble streetside exterior lies a courtyard, high-ceiling rooms and balconies overlooking the sea. During the filming of Mamma Mia, actress Amanda Seyfried resided here. 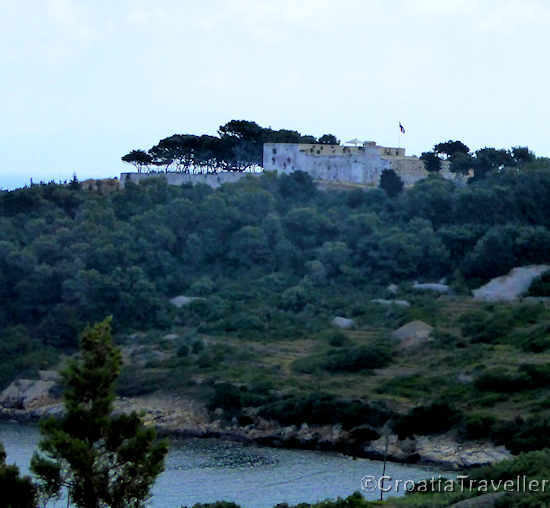 Fort St George is high on a hill north of Gradina and overlooks Stonica bay. 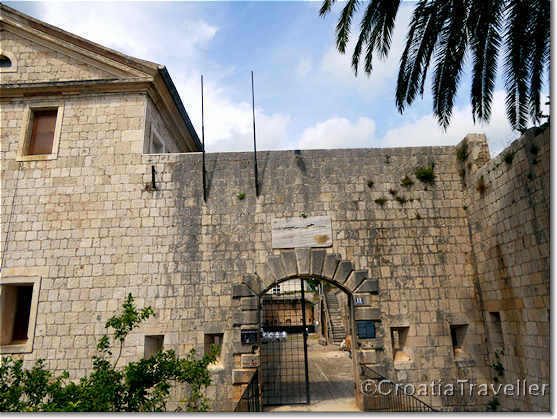 Begun in 1812 at the time of British occupation, this imposing fortress was used by the Austrian army and then the former Jugoslavian army. Today it is a restaurant and cafe-bar that regularly hosts parties. There are only a few hotels but a good assortment of private accommodation. Read more. As elsewhere on the islands, fish and seafood are staple items on most menus. In addition to fresh grilled sardines and octopus, splurge on any dish with lobster which is abundant here. Also, try the flat bread, pogaca, which is a specialty here. Another favorite is viski hib, a fig dessert. The most revered restaurant among the locals, Pojoda has won a number of gastronomic awards. It's just a small tavern specializing in seafood but always prepared in traditional Vis style. Only in Vis is the traditional brodetto made with fish and beans. And how about an octopus burger? Set in the gardens of a 16th-century mansion, the ambiance couldn't be more romantic. Now attracting a chi-chi crowd of yachties, prices are relatively high for the region, but the expertly concocted dishes are worth it. Unfortunately, there are no longer any international connections to Vis but there's a regular car ferry and several catamarans from Split. 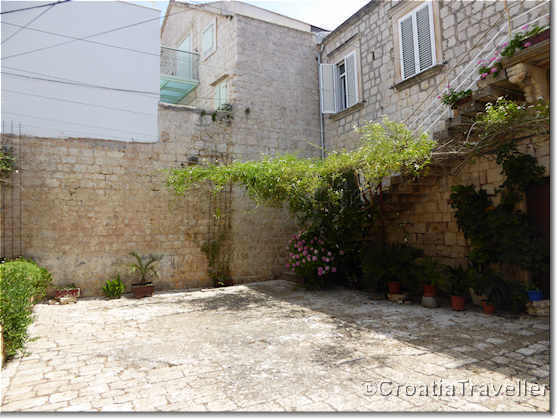 See more on getting to Vis. 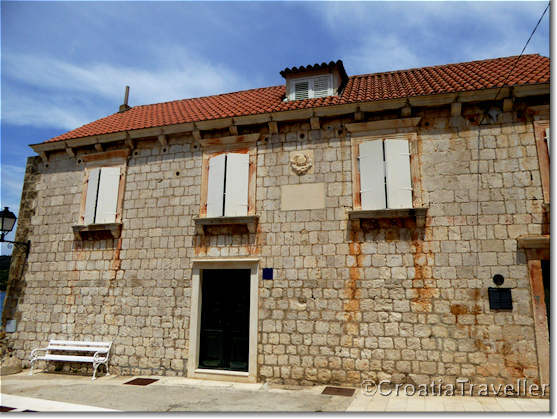 In Vis Town, the Vis tourist office (tel 021-711 017) is at Setaliste Stare Issa 2, next to the ferry dock.